We don't think of insects as having "personality". But this Red Admiral butterfly certainly did. 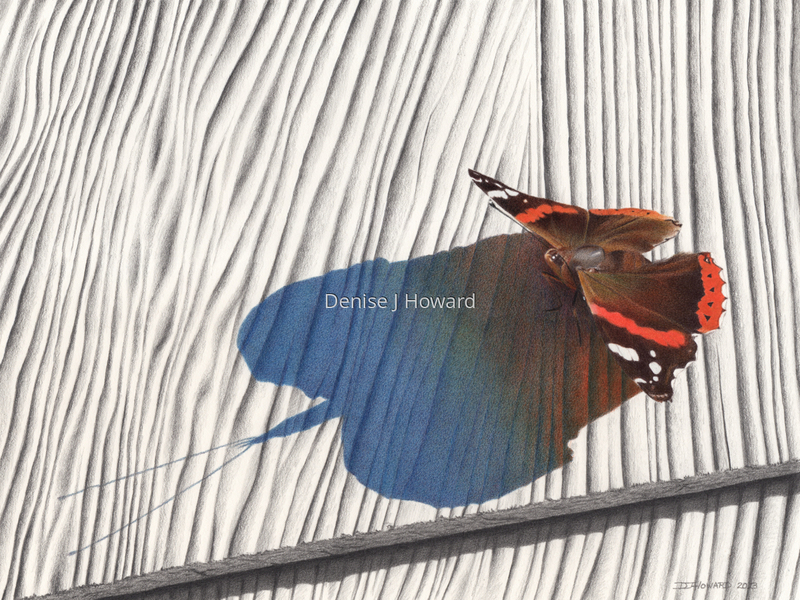 It appeared in late afternoon every day for weeks, flitting around teasing the animals and then resting on the side of the house just before sunset, seeming to admire the size of its own luminous shadow. Colored pencil and graphite on Stonehenge paper.